… for the healing magic of arnica and comfrey, and for a rough and tumble little boy that is so brave. 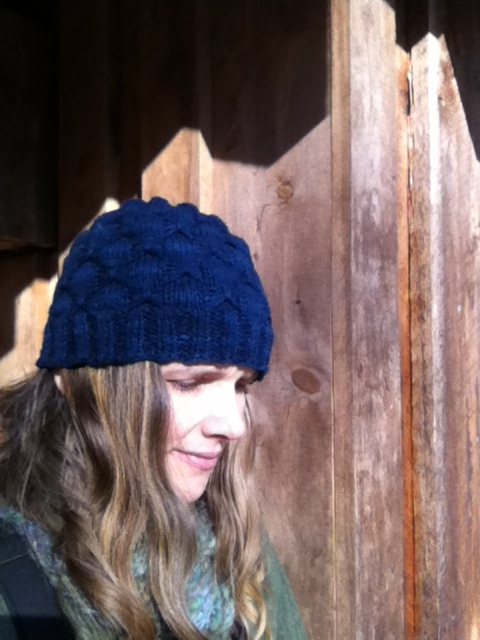 … for scrumptious dark indigo blue yarn from my dear fellow farmwife, and a weekend spent knitting it into a hat. Merry Christmas to me. … for nearly three days (three days!) of mostly sunny skies. 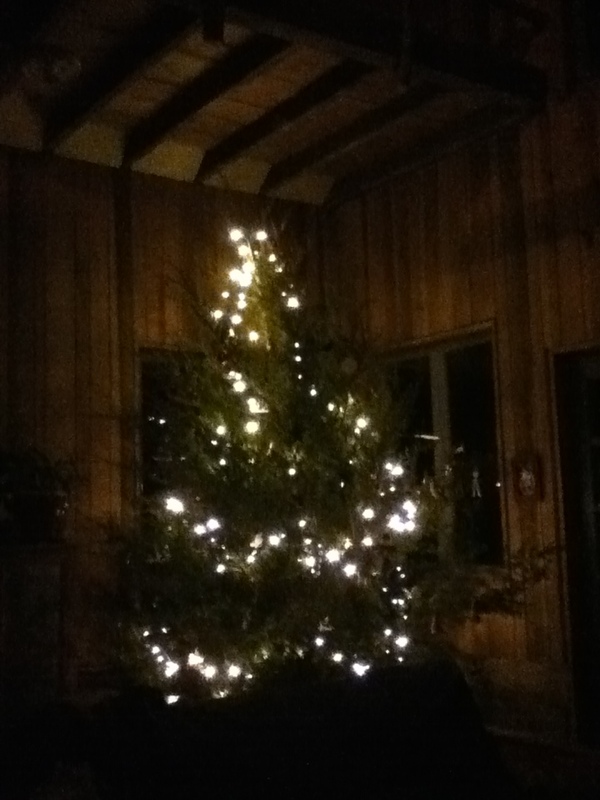 Now we should be able to power the little white lights on our Solstice Tree on the Darkest Day without shutting our solar system completely down. … for a little time spent with my sweetie in the garden today, planting hope. 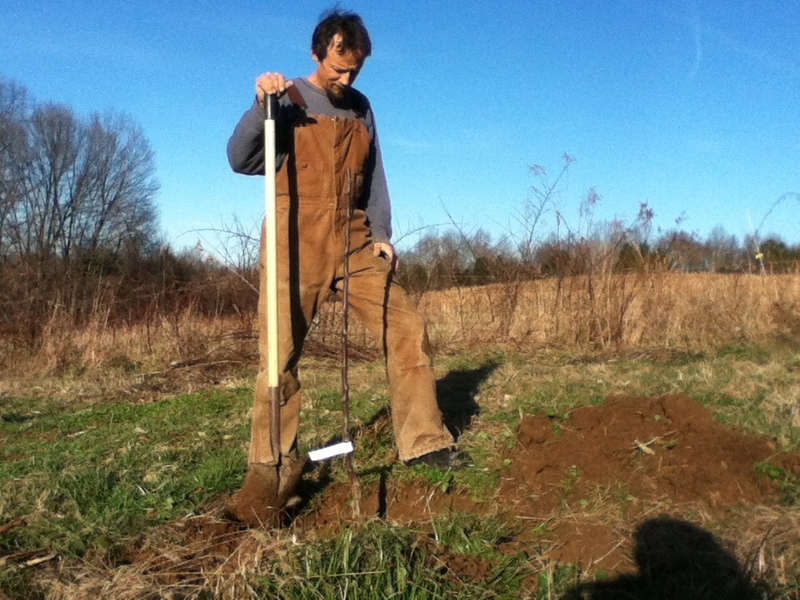 Three apple trees and one pear tree added to the orchard. … for unbelievably quiet, moonlight saturated nights. 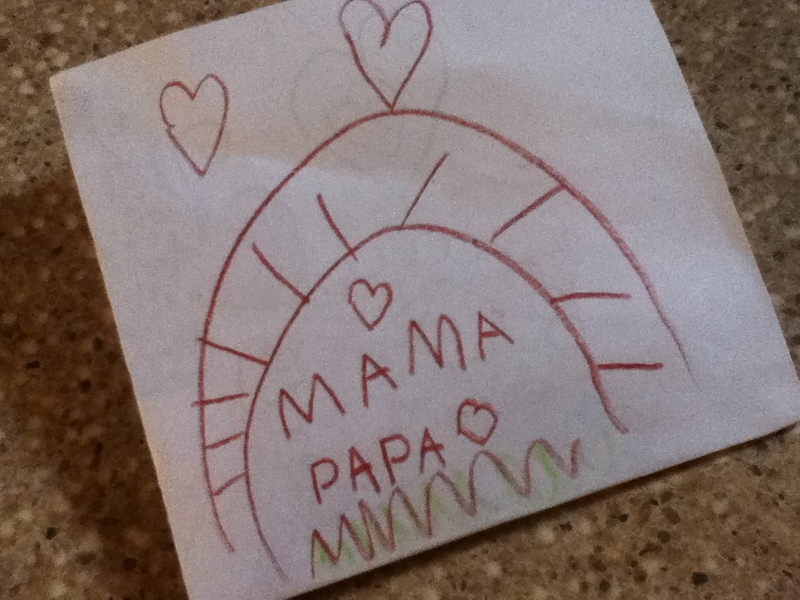 … and for the little things that fill my days. thanks for the reminder to be thankful for the little daily victories and pleasures. 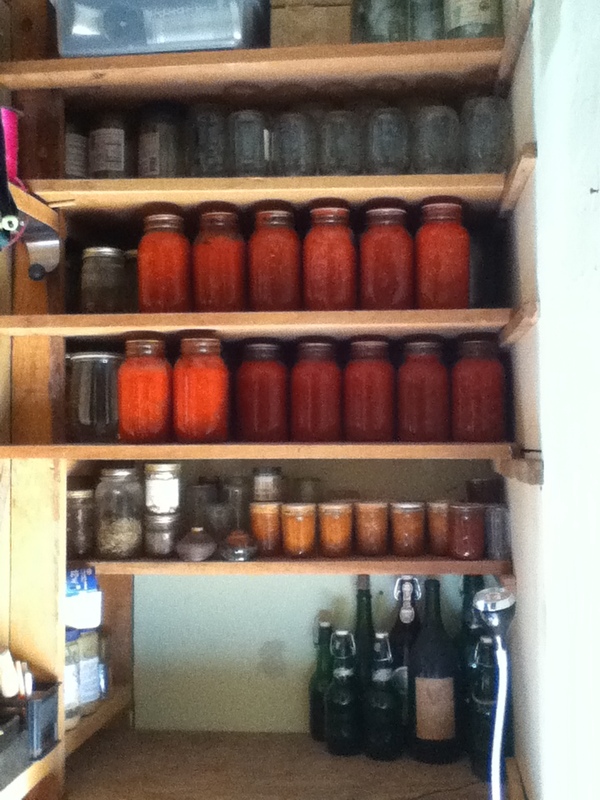 i am totally envious of your pantry shelves — so lovely!! Is alright. Happy solstice/merry Christmas to all of you! Great hat! Wow. We have the same experience with UPS and Fed Ex. Funny.